My client wanted a classic logo that had a mix of modern and retro for their new film production company. They were interested in playing with the concept of a hallway – the idea of perspective and viewpoint. We achieved this by angling the top line of the word “Hall”, giving a sense of movement and distance. Grace Discipleship is a mentorship-type program with an emphasis on digging down to explore the root issues in people’s lives so that they can be healthy and happy. 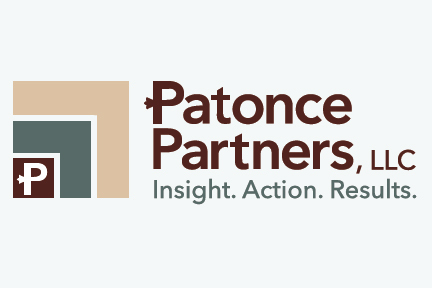 The logo reflects those goals by bringing attention to the roots in a pleasant and balanced mark. The client, a beauty blog and instagram feed, was looking for a logo that felt clean and modern, but with strong connection to 80’s neon. We came up with this custom script logo with a neon sign vibe. SOAK is a startup making small-batch extracts for baking and cooking use. While working on this branding project, we came up with the concept of a text treatment that would make the lower half of the word SOAK transparent, allowing the color of whatever is behind the word to show through. This plays with the idea of how extracts are created– by soaking a substance (vanilla beans, lavender, etc.) in vodka until the liquid takes on the intended flavor. When printed on clear labels, the extract “colors” the logo, making it unique from bottle to bottle. The Lazy Genius is a blog, podcast, and web community with the mission of “being a genius about the things that matter and lazy about the things that don’t”. With these designs– which included images for the website, podcast, and other uses –I centered around the lightbulb icon as a simple visual representation of the concept. The no-nonsense text shows up clearly on handheld devices (i.e. podcast machines) and also is on-mission with the brand. Hope Chapel is a 10-year-old church in North Carolina. An upcoming facility change prompted them to refresh their logo, aiming for something that felt at once warm and rooted in tradition. Using a rounded serif font helped us achieve this unique “feel”. 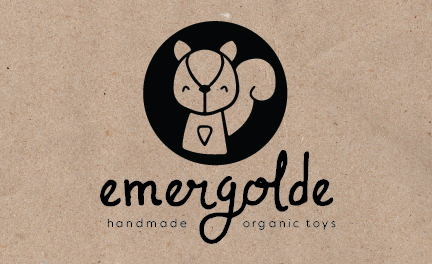 Emergolde is an organic, handmade toy company. In designing this logo, we wanted to incorporate the look of Emergolde’s products (the squirrel being one of them) and make the branding feel playful and handmade. The icon is “sectioned” into parts, much like a sewing pattern, and also lending very well to a stamp for tags, bags, and other product packaging. The text has a customized hand drawn look, keeping with the playfulness of the product. Finally, we made the tagline feel more modern and clean, bringing a slightly refined and upscale feel into the mix. Christ Our Hope is a church in Wake Forest, NC. They approached me about creating a logo that felt both fresh and modest. We decided on a clean sans-serif typeface and created a mark that incorporated both a cross and the ‘C’ and ‘H’ from their name.